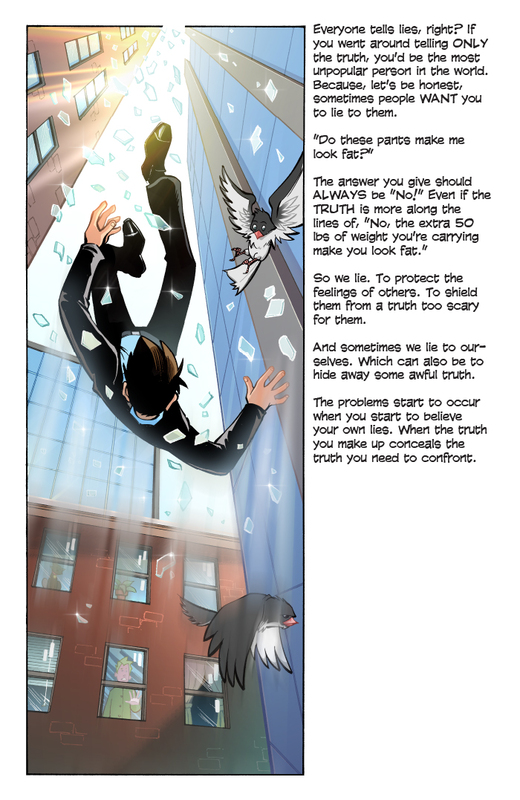 OK, so here’s the deal, if you haven’t read Decoy before, what’s wrong with you? Oh sure, you were waiting for me to start writing it, I know, I’ve heard it all before. And sure, coming of the back of the TONY AWARD winning* Luci Phurr’s Imps, I can understand that, but seriously peoples, go track down the first incarnation of Decoy. There’s some serious talent involved in those stories, and you’ll also find I dip into that world to bring you Decoy 2.0. †I’m now being told we weren’t actually nominated for a TONY AWARD. Presumably because those things are always going to the insiders and nothing to do with that fact there is no webcomic category in the TONY AWARDS.